The Alliance of American Football, or AAF, kicked off its inaugural season on Feb. 9 and immediately showed how they plan to take advantage of some blind spots in the NFL’s monopoly. 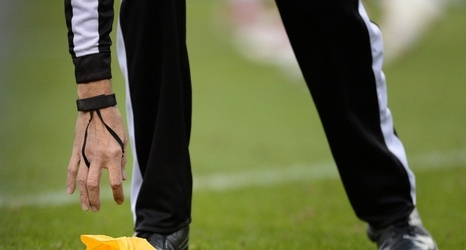 Much of that involves changes to officiating; they don’t want to experience what the NFL brought on themselves during the botched NFC championship game, hosing the New Orleans Saints before Super Bowl LIII. One way the AAF is avoiding that ugly situation is by adding a ninth member to officiating crews, termed the sky judge. As explained by AAF officiating consultant Mike Pereira, “If you get a helmet-to-helmet spear and it’s not called on the field, it can be picked up by the ninth official.